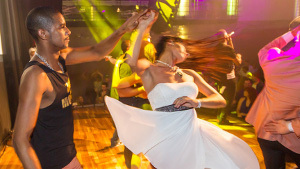 Salsa classes in London are a fun way to learn one of the most popular forms of social Latin dance in the world. Joining our regular salsa classes and courses will get your dancing in no time, teaching you a new skill which will allow you to socialise in a new vibrant, international dance community. Our salsa classes are devised into courses to help you progress in a structured way and held in great centrally located venues in London. Ideal for absolute beginners to dance, you cover all the steps, rhythm and basics to get you going. The Level 2 Salsa courses build upon the basics covered in Level 1, teach more involved figures and develop the leading and following techniques. The focus is on more advanced dance techniques, styling and differing rhythms. Evening and weekend courses. Class locations include: Soho (Oxford Circus), Piccadilly Circus, Covent Garden, Holborn, Euston (Kings Cross).